1 Canada Census, Canada West, 1851, Ontario, Lincoln County, Grimsby, Image 15 of 99, Ancestry.com (Online Census Images). 2 Federal Census, PA, McKean County, 1900, Bradford, E.D. 99, Sheet 2B, Image 4 of 19, Ancestry.com (Online Census Images). 3 Federal Census, PA, Venango County, 1870, Oilcreek, p. 115, Image 115 of 129, Ancestry.com (Online Census Images). 4 Ohio, County Marriages, 1789-2013, Marriage record for son Fleet F Field and Jane E Fox, FamilySearch.org (Online Database). 5 Pennsylvania, Death Certificates, 1906-1966, Death certificate for John Q. Field, Ancestry.com (Online Database). 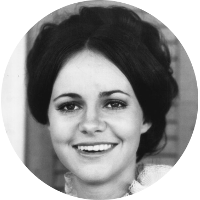 6 Finding Your Roots with Henry Louis Gates, Jr., "Sally Field's Interactive Family Tree", (accessed 04/18/2016), Public Broadcasting Service, www.pbs.org. 7 Gates, Henry Louis, Jr., Finding Your Roots, Season 2: The Official Companion to the PBS Series , Chapel Hill, North Carolina: The University of North Carolina Press (2016), 328-329.